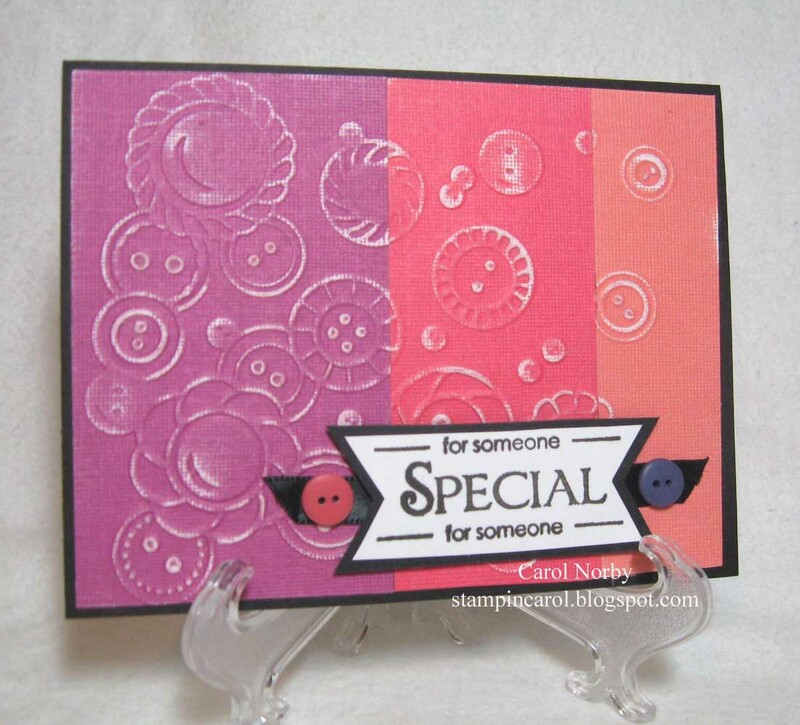 I used some DCWV white core card stock and a Cuttlebug Embossing folder. Of course, I sanded to bring out the design. I had fun picking the colors... kinda different, huh! The text is from a The Angel Co. set called Label Lingo. 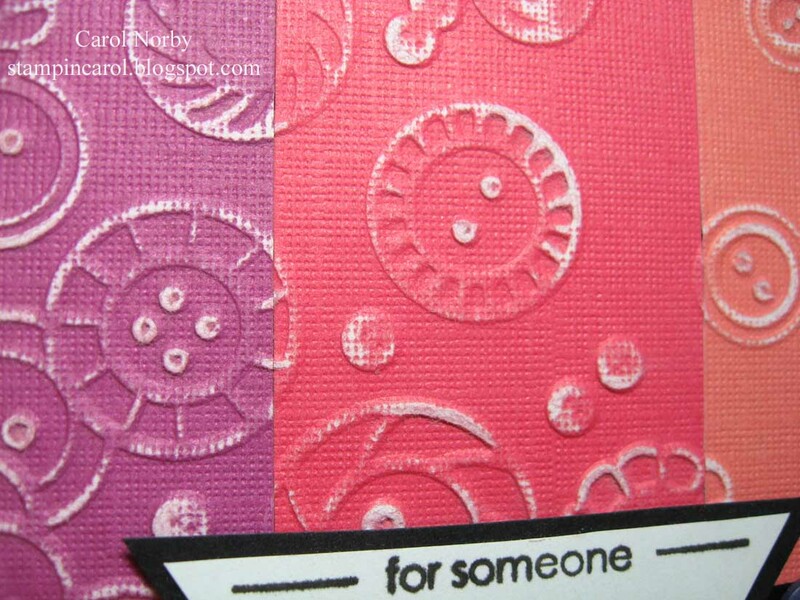 Since the embossing was of buttons I added coordinating real ones on the ribbon under the text. To see some really cool cards using this sketch just click on their blog name! Love the choice of colors. So sad that Angel Co no longer exists. They had some great stamps. Great card, Carol! I love the little buttons and ribbon detail. Thanks so much for joining us in this week's OWH Stars & Stamps Sketch Challenge! Carol, This is a v3ry nice card. I like how the sanding really shows up the embossing so nicely. Great sentiment also. Enjoy your week and thanks for joining us. 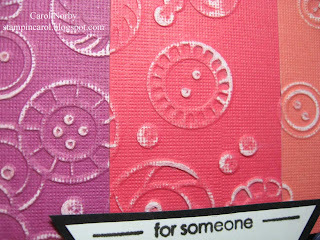 Like the colors and how sanding brings out the embossed details. Cute card. I like your idea of sanding it does highlight the embossing. Adding the buttons by the sentiment was also a nice touch. Thanks for your inspiring ideas. This is lovely! Perfection in the simplicity and creative design! Wishing you a happy day!